Auroch Digital has announced it is to combine rocket building, mission control, and space agency management together in the upcoming strategy game Mars Horizon. Early in development, the game received support from the UK Space Agency as it focuses on the reality of space exploration. The game is in development now and is due for release in Q4 this year to PlayStation 4, Xbox One, Nintendo Switch, and PC. 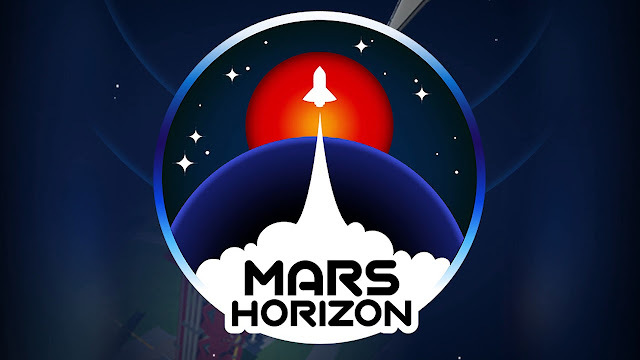 Mars Horizon is a strategy game in which players control a government space agency. Picking between the space agencies of either Europe, Russia, or the United States, the players then control the agency to collaborate or compete in a decades-spanning campaign to expand humanity’s reach further into space. With each game an alternate history begins to be shaped and guided by the player’s actions, building iconic rockets, probes, and satellites that transmit crucial scientific data back to your customisable Earth HQ, all the while researching, investing in, and bolstering your space flight capabilities. During the player’s version of the space race, perhaps Europe work with Russia, sending satellites into orbit? Could it be that the US get this first satellite into space but that Russia achieves the first moon landing? Who will be best poised to venture to Mars because of learnings from earlier missions? Players will research new tech, expand their agency base, build rockets, send satellites into orbit, and launch a variety of missions throughout the Solar System. The game culminates in the first crewed mission to Mars, setting the stage for humanity to become a multiplanetary species. “We wanted to distil the wonder, drama, and the galaxies of possibility that space offers us as a species, into game form. Mars Horizon is our love-letter to the race into space and the challenges and triumphs of humanity on the way to becoming a multiplanetary species”. Together with research into real science and engineering in the space industry, the support shown by the UK Space Agency to assist in Mars Horizon’s production has elevated and further inspired the development team at Auroch Digital. Episode 1 of a 3 part podcast series is also available, detailing the games’ production. You can listen and subscribe to the Auroch Digital podcast HERE - get to know the team, the process, and learn about how space engineering has been translated for the video game medium in Mars Horizon.